GetFurnished.com presents you it’s great selection of high-end Video Projectors to rent, for a duration that goes from 1 to 36 months. 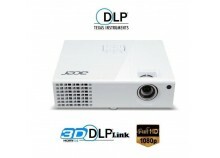 You’ll find in here the best brands of home cinema : ACER, BENQ, EPSON and many others. Thanks to GetFurnished.com you’ll make some very noticeable savings. 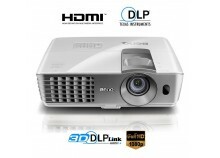 Choose to rent a Video Projector from the great selection of articles that are at your disposal. Once you’ve choosen your product, we’ll deliver it quickly, at the date that suits you. Once your contract comes to an end, all you have to do is to give it back to us, or take antoher one. Why should you rent a Video Projector ? Renting a Video Projector with GetFurnished.com ensures you’ll be spending pleasant moments with your family and friends. It’s also quite useful at your workplace, in situation such as a meeting when you need to project your work in front of other people. rental is quite a judicous decision, that we’ll bring you all the advantages of owning a Video Projector, without all of the inconveniences. The Price : GetFurnished.com has the lowest rental prices. Benefit from small monthly payments that will preserve your budget. When you need a product only for a short time, buying isn’t the most judicious decision from a financial standpoint. 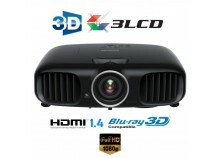 The Quality : Opt for the most simple, safe and quick solution by renting a Video Projector with GetFurnished.com. Our rental service offers you the best high-tech products. Rent a Video Projector with us and enjoy unforgettable moments with the people who are dear to you. The Simplicity : All of our products arrive directly at your home, at the date you want. You have nothing to do, except enjoying your new product. Choose to rent from GetFurnished.com for your great pleasure.